“This experience will be transformative,” she said. I remember that very distinctly because I was skeptical. I mean, I’m not some youngster, I have had many experiences in my life—some of them profound and what I would consider transformative. However, in retrospect I had no concept of the journey I was about to undertake. 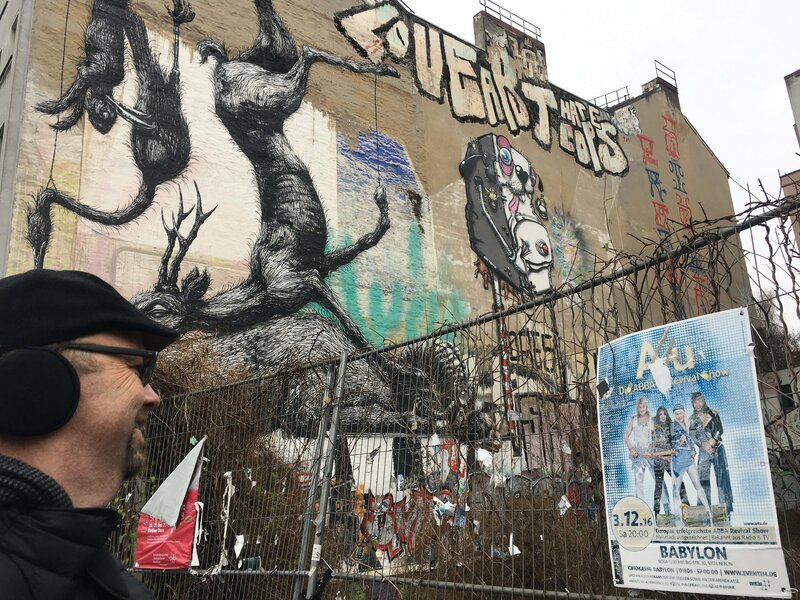 Arriving in Berlin was an exciting time, meeting other students and faculty from across the TCS Education System network of universities and getting settled in. The energy of the city was palpable, and the people were fantastic. We had the opportunity to tour neighborhoods and museums, and meet politicians and community organizers. I was so impressed with what was being done for the new and current citizens of Germany. The day came that we were going to “the balloon,” the camp that international refugees were calling home for the time being. I was nervous and wondered what it would be like. Practically speaking, the only exposure I had up to that point was through national media. I wanted to be sure to keep my expectations in check. I remember someone saying this exchange is about empathy not sympathy, which only caused my anxiety to grow even higher! We walked for what seemed like many miles and came around a corner to see a very large building that did in fact look a bit like a big silver balloon. It was very cold and misty, and a few residents were milling around outside. Our group moved in a pack, clearly all of us sharing similar emotions and wonder. We were let into the camp in small groups, as to accommodate the pressure doors that were in place to keep the balloon inflated. It was warm and very bright inside—security guards sat at the front desk, checking for badges and signing people in and out. I can’t forget the noise—not from crying, yelling, or other sounds of distress—but from people laughing and talking and children playing. It was a place where humans were simply being human. I knew then that my expectations had been much skewed, and I realized that while there was little doubt as to the stories these people had to tell about their reasons for fleeing, all I felt in that moment was a sense of shared humanity. They were not asking for anything special, they only wanted to feel safe and have the opportunity to live and take care of their families, no different than us. Even though they had been through so much, when I looked into their eyes, I saw joy and love alongside the pain and fear. It was the whole of humanity right in front of me. “Transformative” was exactly what this was. This experience afforded me the opportunity to change my perspective on how I work, how I live, and how I see the rest of the world and those that live in it. My goals have also changed. Because of this experience, I hope to become more involved with international psychology. We are all in this together, we all have something to offer and if we remain open to change and open to each other we can all transform—we can all experience a change in perspective. Perhaps we’ve had different paths to get where we are, but we are all the same nonetheless. Just a few words and a balloon full of beautiful people, and my life is forever changed.